Ilya Pozin is the founder of Open Me and Ciplex, and is a columnist for Inc, Forbes and LinkedIn. The Internet has been buzzing about Amazon Prime’s recent price hike. The service went from $79 to $99 for a year’s subscription. These $20 dollars sparked a lot of anger, irritation, and backlash among Prime customers unhappy about paying more for the site’s service. At some point in their run, most businesses, whether a giant company like Amazon or a small-scale startup, will need to raise prices. In an ideal world, you could always keep prices flat and customers happy. In the real world, circumstances will necessitate an increase in price in order to stay competitive. Before putting new policies into place, survey your customers to see how they would react to a price hike. You should already have a good idea of what your customer base looks like, but in the fast-moving business world, it’s easy to fall out of touch with your target audience. Send out an email survey with questions about a potential price increase and pick up the phone to talk one-on-one with your customers. Surveying customers can help you determine a fair new price point and also work to increase trust in your brand. Before putting any new pricing plan into place, it’s time to pull out your calculator. You need to have a rough idea of what customer churn might be once you implement your new prices, and weigh this against the potential ROI afforded by a higher price point. If your loss of customers outweighs the ROI of higher prices, perhaps a hike isn’t what your business needs. Look at your customer churn right now and then use survey data to get predictive about what the churn rate might look like after you’ve raised prices. Depending on the specific issue the raise is trying to address, a few lost customers might be worth the ROI afforded by a higher price tag. Amazon Prime’s price hike got people buzzing on social media, and the buzz wasn’t very positive. According to a survey by Brand Keys, Amazon’s Customer Loyalty Engagement Index before the hike was an impressive 93 out of 100. After the hike, the company’s engagement number rapidly dropped a whole 10 points. Considering the importance of customer satisfaction and loyalty to services like Prime, keeping engagement steady is essential. Of course, big brands like Amazon can afford to hit speed bumps with its customers from time to time; smaller organizations just can’t afford to alienate their customers. This is especially true for startups and small businesses, where word-of-mouth is key. If your company is blowing up social media for the wrong reason, this could spell seriously bad news for your bottom line. You love your customers, but your customers might not love your new pricing. You don’t want to abandon your old customers, but the key to moving forward might involve tweaking your business plan. In fact, it might be time to target a different consumer base for your products or services. During a research experiment on how branding affects purchasing decisions, behavioral economist Richard Thaler compared the prices of beer at a run-down grocery store and an upscale resort. What he found, unsurprisingly, was the upscale resort’s prices were a whopping 71 percent more than the grocery store, yet consumers were more than willing to pay. What does this mean for your company? 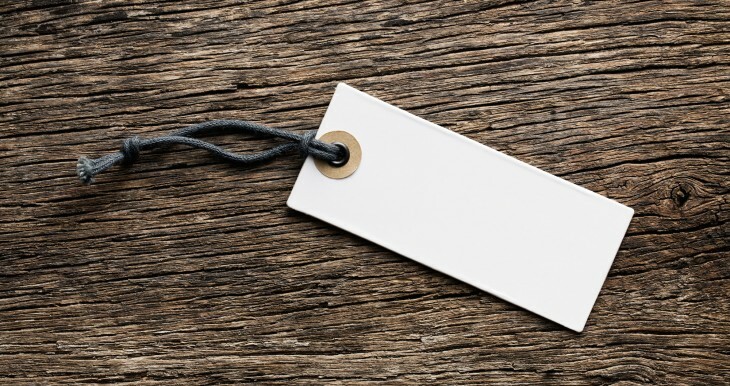 Rebranding your organization as more upscale can help you target new customers willing to pay your heightened price point. If you use quality as the reasoning behind higher prices, customers will feel they’re getting a little something extra for their money. This might mean revamping your brand, but it can justify your company’s higher price tags. Customers are less likely to feel cheated if they feel they’re getting more for their money. If you add services while also raising prices, you’ve created a double narrative. Instead of only focusing on the price hike, you can instead choose to promote your new services or products. This might mean being very strategic about your pricing rollout and waiting until you can offer something additional to get customers focusing on the positives instead of the negatives. By doing this, your company gets in front of the price hike story and while assuring customers that you’re trying to offer more value. Raising prices without ruffling feathers might seem downright impossible. But if you’re smart and strategic about your new pricing plan, you can set the prices you need without alienating your customers. What do you think? How do you raise prices without losing business? Share in the comments!